Time to sell your Gulf Shores beach house? Read about today's resort-market buyer. Gulf Shores beach homes span the entire Alabama Gulf Coast, starting from the tip of Fort Morgan to the east end of Orange Beach, Alabama. Gulf-front beach houses in Gulf Shores and Orange Beach can be great investments and/or wonderful second homes or a more seasonal/short term getaway for your family to retreat to when you all need some quiet time together away from traffic, work, school, and the stress of everyday life. Most homes directly on the Gulf of Mexico, if used properly, will potentially average upwards of $80,000 in annual rental income or more depending on size; many larger gulf front homes can eclipse $100,000 annually. View revenue info for beach houses in Gulf Shores. Fort Morgan is not known for being a busy area and the farther your travel toward the Western tip, the farther you get from the crowds of vacationers in central Gulf Shores during the busy Summer months. Fort Morgan is home to the Beach Club, the Dunes and the Indies on the Gulf and the Rookery and Navy Cove condos on Mobile Bay - Click this link for info on these Gulf Coast condos on Fort Morgan peninsula. There is a ferry which carries patrons from Dauphin Island to the Western most point of Fort Morgan for a few dollars with automobiles for a few more. Basically, if you are looking for a quiet place to enjoy the sand and surf of our beautiful gulf of Mexico, Fort Morgan is probably a good fit. Gulf Shores is home to a variety of other beach front homes also. The popular West Beach area, for example, is a little livelier due to its proximity to the area attractions in Gulf Shores. West Beach ends at a private gated-community of upscale beach homes called "Laguna Dunes". On the other end of the island is Orange Beach which is similar to Gulf Shores in every way. Orange Beach is much more convenient for boating however. Orange Beach is surrounded by water and Perdido Pass allows for easy access to the Gulf of Mexico for great fishing or just cruising. Many of the condos off of the Gulf of Mexico have boat docks and Terry Cove is littered with homes on canals and waterways making gulf access easy. Our coastal area is in a seller's market and inventory is low. Prices have been steadily increasing and we have room to grow. Beach houses for sale are similar, in many respects, to Gulf Shores condos for sale. Both are income-producing and values have improved on similar schedules. We can help with the real estate transactions, but also in marketing. When we help a buyer purchase a property, we also help with advertising. It's something easy for us to do with our websites and social media sites and it's a little way we like to show our appreciation. Baldwin Beach Houses in the Baldwin Beach subdivision are located on both sides of Beach Boulevard, which means the houses either border the Gulf of Mexico or Little Lagoon. These beach houses are just minutes away from downtown Gulf Shores and all of the city's shopping, restaurants, and entertainment venues. Because these houses are so close to the water, they are raised to protect you and your family from flooding. The oldest of these houses was built in 1975 with many still being built in the subdivision even today. Cabana Beach is located just west of Gulf Shores in the Fort Morgan area. These houses are raised and there is an eclectic mix of older and newer homes. Cabana Beach is situated adjacent to the Beach Club Resort and residents have the opportunity to invest in a membership there to enjoy all of their amenities, which includes restaurants, pools, and a golf course. The Cabana Beach subdivision has both homes and lots for sale. With homes on both the Gulf of Mexico and Little Lagoon, it's no wonder owners of these properties have fallen in love with the area. Many owners make additional income by seasonally renting these residences out. There are both houses and lots available and the houses here are raised. Carl T. Martin subdivision is just a short drive from some of the best restaurants, shops, and entertainment venues that Gulf Shores has to offer. 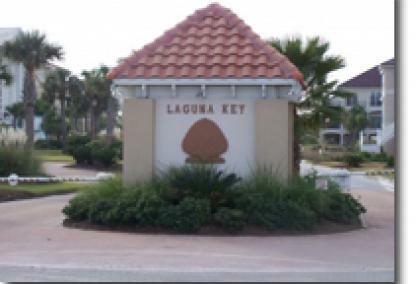 Laguna Key is located in a secluded section of the popular West Beach area of Gulf Shores. This quiet, gated subdivision is one of the oldest Gulf-front communities in Gulf Shores. 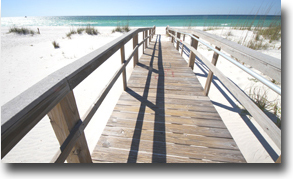 There are both lots and raised houses for sale and is one of the most desirable neighborhoods on Alabama's Gulf Coast. It's convenient proximity to downtown Gulf Shores make it a popular choice for a second home. 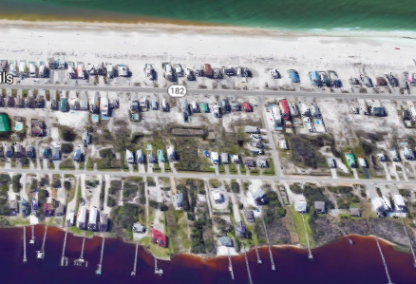 The Lillian Callaway subdivision is located in the popular West Beach area of Gulf Shores. These raised houses are some of the most beautiful in the area, offering spectacular views of the white-sand beaches and emerald-green waters of the Gulf of Mexico. Lillian Callaway is just a few minutes from downtown Gulf Shores and the public beach access. There are both lots and homes available in this subdivision. ReadCarl T Martin subdivision is located on West Beach Blvd in Gulf Shores. This community of homes offers homes located on the beach or lagoon with access to both. They are raised beach houses that can range from small 2 bedroom homes, to larger 6 bedroom homes. This is a unique subdivision that offers its residents the option of the beach, or fun of Little Lagoon with fishing and boating! Alabama Gulf Coast condos are the largest real estate draw in the area. Gulf Shores condos for sale are all listed on this website along with helpful investment info, such as recently sold condos with the actual closed date and closed prices, revenue numbers, property details, interactive maps, exclusive aerial imagery and much more info. We've published this info for Orange Beach condos for sale too. Our coverage area spans through Fort Walton Beach and Destin all the way to Panama City Beach Florida and we've covered in great detail, all of these areas to make researching real estate easy and efficient. We've been keeping up with new regulations also, like the most recent change of recently sold info. Prior to Summer of 2016, publishing recently sold numbers, was not allowed and the only access to this info was through third party websites and the accuracy of the info was often questionable. With the new system, the recent sales info comes directly from the MLS (Multiple Listing Service) to ensure accuracy. Mobile, AL and Pensacola, FL are the two largest cities within an hour and a half from the Alabama Gulf Coast. The regional airports are approximately 75 minutes from the beaches. These two cities have sports teams with Mobile having the Bay Bears and the Blue Wahoos representing Pensacola. These cities offer many of the little things that aren't typically found in smaller communities, like malls, dealerships and other businesses.